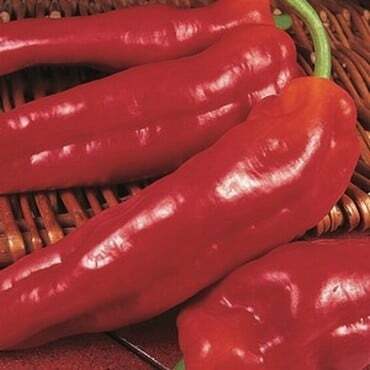 The Sweet Pepper Californinan Wonder is a really popular variety as it is such a good cropper with large square shaped fruits that have a mild, sweet flavour. Supplied as 3 healthy growing bare rooted organic plants approx. 10-30cm high. The peppers are best picked when they are still green. The Sweet Pepper plants will grow much better in a warm greenhouse, some smaller plants will do well on a sunny windowsill. 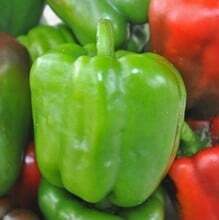 Peppers prefer fresh compost in either growbags or pots. If you are planting in growbags you should plant 3 to a growbag or plant one per pot. If you are planting in beds, the spacing can vary depending on the pepper variety, but we will include full planting instructions with your plants, around 20cm is usually a good spacing. When the plants reach about 20cm in height you can pinch off the growing tips which will encourage a bushier plant with more peppers. 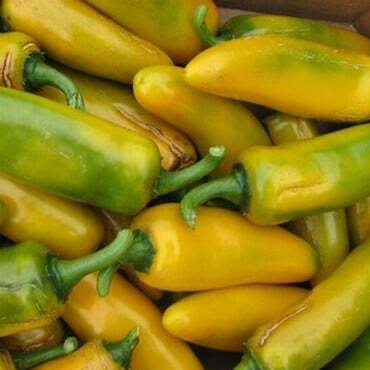 Keep the pepper plants watered thoroughly and give them a liquid feed every fortnight. If the plants need a little support, they can be trained up a bamboo cane or we have a wide range of plant supports to help. Keep an eye out for aphids, whitefly and spidermite which can all damage the plants. The peppers can be picked at whatever stage you like, but with this variety they are best picked when they are green. Picking the peppers often encourages the plant to product more.